10 particular contract have been identified and the GST points are outlined accordingly. 1. Murabahah and BBA. The main concern about Murabahah and BBA is that there are actual assets that is being transacted. 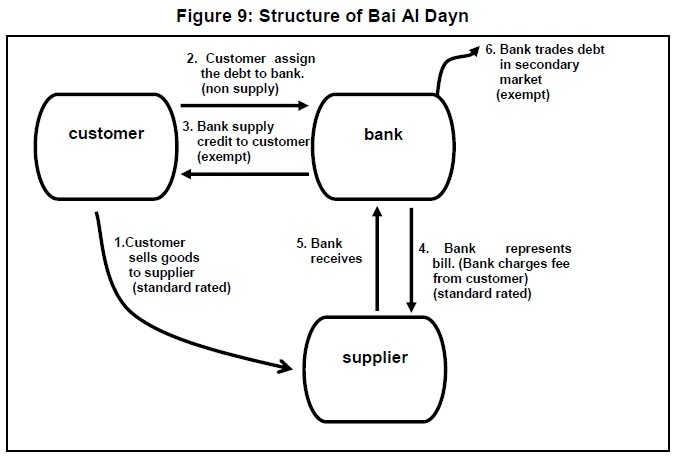 In general, these Assets are used for the purpose of creating the underlying obligation (financing) and can be considered as movements of actual goods, with potential transfer of ownerships in between transaction. However, it was outlined that the transfer of Assets is not a supply of Asset from customer to Bank (non-supply) and therefore is exempted from GST, as well as the financing portion of the arrangement. There will be a standard-rated GST for the supply of Asset from supplier to customer. 2. Operating Lease. 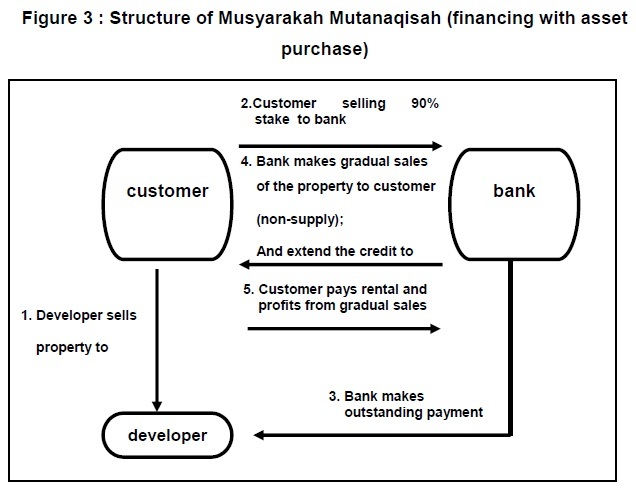 Musyarakah Mutanaqisah without asset purchase is similar to a Rental agreement (Ijara). As no asset will eventually being transferred to the customer, this effectively remains as an operating lease. All proceeds from the rental will be GST exempt. 3. Financial Lease. 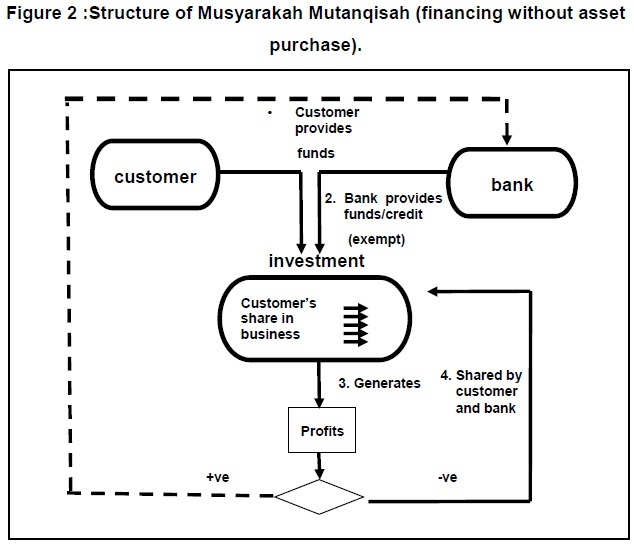 However, for Musyaraka Mutanaqisa with a purchase of Asset, there will be actual transfer of Asset therefore it becomes financial lease. As such treatment will be similar to the financing structures such as Murabaha. The Asset transfer from supplier to Customer will be imposed a standard rated GST, but the financing facility itself will be GST exempted. 4. AITAB. 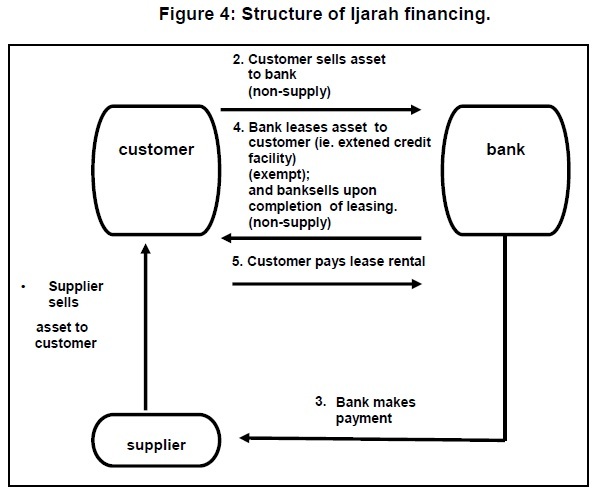 There is a difference between the treatment of Ijara (rental / operating lease) and Ijara Thumma Al Bai (rental with eventual transfer of ownership / financial lease). GST for Ijara Thumma Al Bai will be similar to straight financing i.e. standard rated GST for the transfer of Asset from the supplier to customer. This presumably will be applicable to the various financial lease variations such as Ijara Wa Iqtina and Ijara Munthahiah bi Tamleek. 5. Bai Inah. 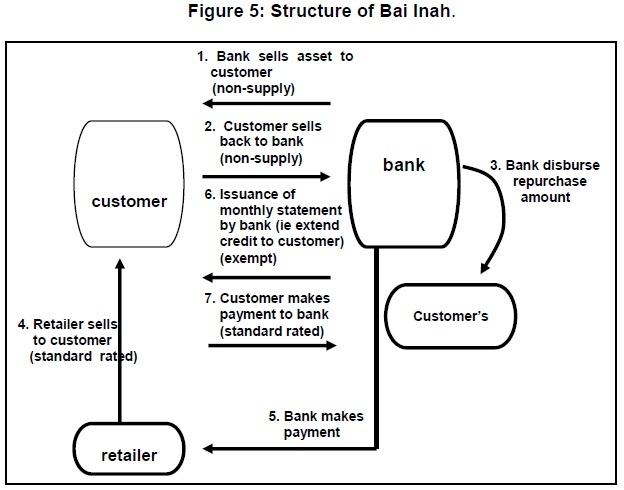 It’s obvious that the Bai Inah structure is generally a transaction to create debt. However, it is interesting to note that while there’s no real assets being transferred (even with the interconditionality clauses imposed by BNM), the transfer of internal Assets between Bank and Customer followed by Customer and Bank will attract standard rated GST for the transfers (underlying transaction). Credit facilities remains exempt. 6. 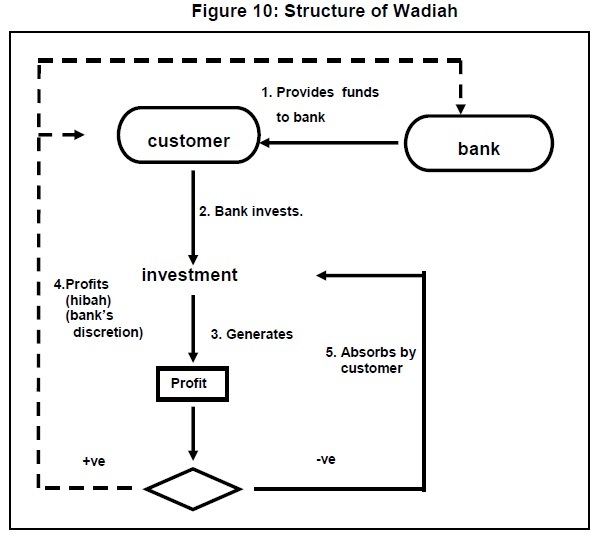 Wakalah (Agency arrangement). 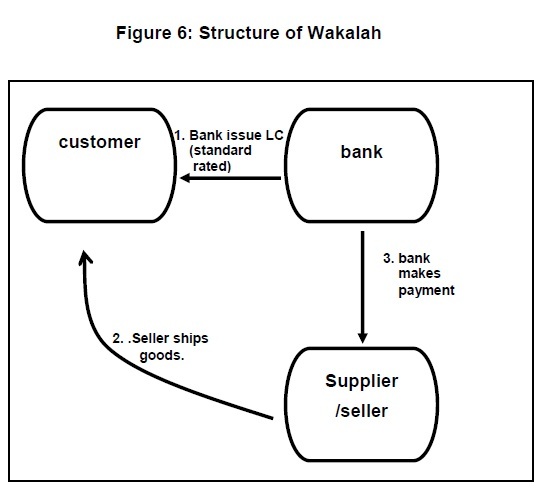 For Wakalah structure, this is essentially a service that is being provided to the customer for specific purposes such as LC issuance. It is commission based and therefore will attract GST at standard rate. 7. Guarantee. 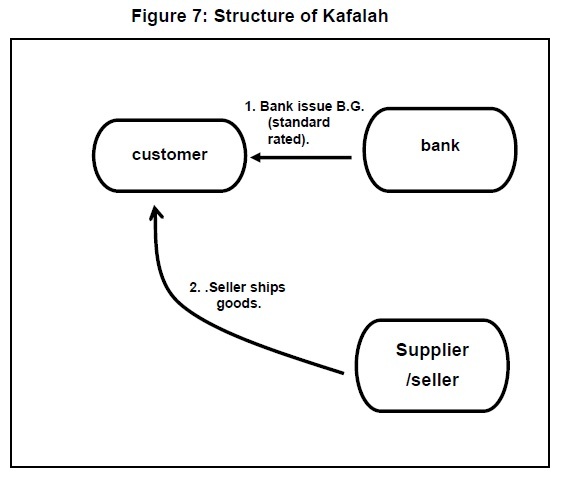 Similarly for Kafalah, which is the issuance of Bank Guarantee and its variation, it is a service which will be impacted by GST at full standard rate. 8. 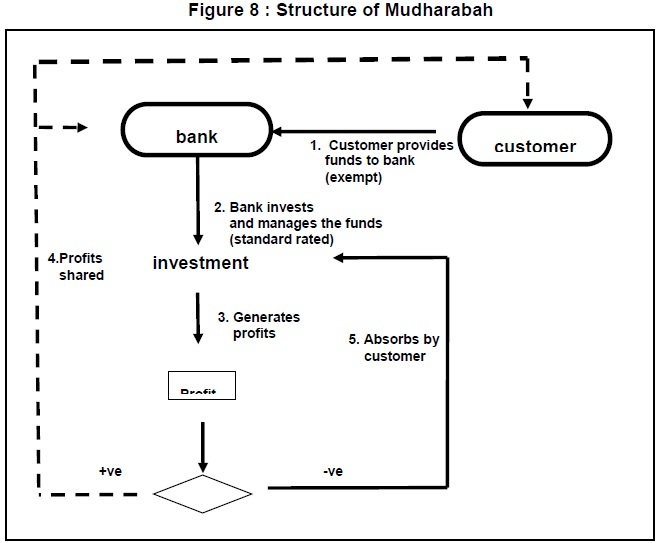 Mudharabah Investment Accounts. As for Mudharabah (Profit Sharing Investment) deposits, this will also be a service that may be taxed under GST. While the profits paid to the Customer for the deposit is exempted, any fees that the Bank charges may be imposed a standard rate GST. This means the Bank’s “Mudharib Fees” will be imposed a GST. Currently, not many are picking up on this point, but technically, due to the nature of the relationship between the Customer (Rab Ul Maal i.e. 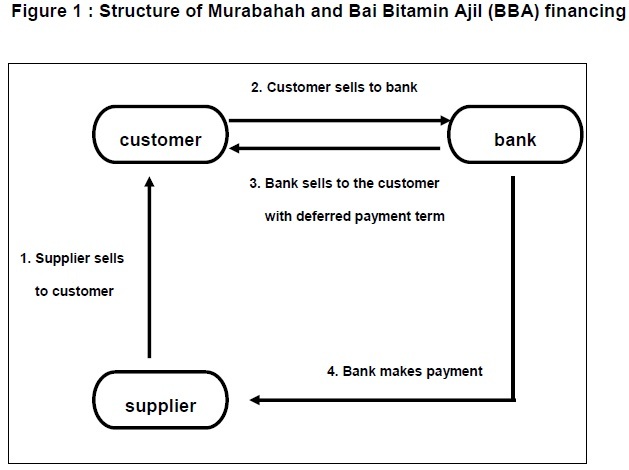 Capital Provider) and Bank (Mudharib i.e. Entrepreneur), the Bank will earn a fee for the “entrepreneurial” work done. 9. Sale of Debts. For Ad Dayn (sale of Debt), this is probably the most impacted structure under the GST. For each sale of the Asset, whether at a full value of Asset or recovery of the Asset value, the GST will be charged at a standard rate. However, for the trading of the Asset in the secondary market, the GST will be exempted (subsequent sale of the debt). 10. Wadiah Deposits. And finally, for deposit structures under Wadiah (Safe keeping), the returns given on the Wadiah is GST exempted. Accounts : In general, returns on Current or Savings Account are not subject to GST. But for fees charged for services, standard-rated GST is charged including encashment facility, ATM cards, Electronic Fund Transfer, issuance of Bank Statements, issuance of cheque books and MEPS transaction fees. Remittances : Not subject to GST. However any additional charges or commission levied to customer will be charged a standard GST. Money changing : Not subject to GST. However, any additional commission charged on-top of the exchange value will incur standard rated GST. Providing Financing. advance or credit: Any underlying Asset used to fulfill the process of financing are treated as non-supplies i.e. GST exempted. However, any amount of input tax incurred will also be FULLY claimable. What’s not so clear is the trading fee being charged by Bursa to the Banks for the transaction of the commodity. While the sale proceeds itself is exempted, the RM15 trading fee charged for each RM1,000,000 commodity traded by Bursa is not clearly addressed in this paper. I will try to get some clarity on this. Islamic Bank Cards: The annual fees of Credit Cards will incur standard rated GST. In addition, any merchant discounts (commissions) will be subject to GST at standard rate, as well as the rental received from payment terminals. Treasury Services : Profit earned from treasury products and any realised capital gains are exempt from GST. However, charges for providing the services will incur the GST at standard rate. Imported Services : GST is only applicable at standard rate if imported services received from overseas are completed and made in Malaysia. Outsourcing of Services: Generally, all outsourced non-core activities of a Bank will incur standard rate GST on the fees charged by the vendor/service provider. It is with some interest to note that in particular to item (6) on Islamic Bank Cards (credit cards), the understanding is that profit for the credit cards are exempt on GST, and only the annual fees will incur GST. However, what’s not being specifically addressed is the Ujrah-type Islamic credit cards, which classifies its charges as “fees” instead of “profit”. Will this Ujrah fee incur GST? On the surface, this will incur GST at standard rate at its current definition. However, dispensation should be given to treat this “fees” similar to the profit earned for a financing product, based on its substance for all intent and purposes. As an update to GST for Bursa CM trading fee, please refer to Custom’s GST guideline for Islamic Banking (revised 30 Jan 2014). These are either exempted or treated as non-supplies. Thanks for the info, Simon. That’s good news to the industry. We have been fighting for exemption since GST was first announced and it’s good to finally have it in black and white.